If I were to ask you right now, what types of activities does your learner like to do, and what types of activities is your learner resistant to, you’d probably be able to respond pretty quickly to both questions. For instance, you might say, my son loves to practice addition facts, but he is resistant to working on spelling homework. Or you might say, my student enjoys passing out papers in class, but is resistant to lining up with the rest of the class when it’s time to go to lunch. You can use this information to increase the likelihood of compliance for those tasks your learner does not like. First, let’s call the tasks your learner enjoys high-p tasks (or high probability tasks) and the tasks your learner does not enjoy the low-p tasks (or low probability tasks). Once you have identified high-p and low-p tasks, you can use this information to produce behavioral momentum. Behavioral momentum is a quite broad topic. The conversation above is an example of just one element of behavioral momentum: a high-probability (or high-p) request sequence. This is “an antecedent intervention in which two to five easy tasks with a known history of learner compliance (high-p request) are presented in quick succession immediately before requesting the target task, the low-p request” (Cooper, Heron, & Heward, 2007, p. 492). 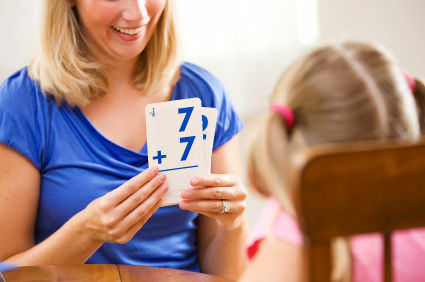 By providing several sequences such as the one above, you can practice all of the spelling words without fighting him to sit down at the table and practice only spelling for ten to fifteen minutes. Teacher: Can you take this paper to Lucy? Student takes paper to Lucy. Teacher: Can you give this one to Marcos? Student takes paper to Marcos. Teacher: Nice work. Can you stand behind Henry? Student gets in line behind Henry. It should be noted that the goal is to move the low-p tasks to high-p tasks. We don’t want the learner to always require two to five high-p tasks before they engage in the low-p task! You can do this by decreasing the number of high-p tasks before giving a low-p task, or by increasing the number of low-p tasks. For instance, maybe the first learner is responding quickly each time his parent gives him a spelling word, so the parent can start giving two spelling words after the series of high-p tasks, then systematically increase the number of spelling words over time. Overall, the high-p request sequence is an easy-to-implement strategy that can improve compliance and reduce stress for all parties involved. Cooper J.O, Heron T.E, & Heward W.L. Applied behavior analysis (2nd ed.) Upper Saddle River, NJ: Pearson, 2007. Written by: Different Roads to Learning on March 3, 2016.on March 2, 2016. This entry was posted in ABA, Academics, Applied Behavior Analysis, autism, autistic spectrum disorder, Behavior, Development, Research, Sam's Tips and tagged ABA, Applied Behavior Analysis, autism, autism education, autistic spectrum disorder, behavior management, behavioral compliance, behavioral momentum, high-probability request sequence, motivating learners, Sam Blanco BCBA, special education by Different Roads to Learning. Bookmark the permalink.